What Image Are You Offering? “The Gospel doesn’t need to be repackaged to be more palatable. It needs to be proclaimed in all of it’s raw form, straight from the Word of God. The Gospel is not some cute sound bite, accompanied by a wimpy, pretty boy Jesus, sheepishly begging to be let in, which then calls for a “Like” on some social media platform. As Paul says above, “If anyone is preaching to you a gospel contrary to the one you received, let him be ACCURSED.” Paul doesn’t say it once, he says it twice, just to make the point stick. 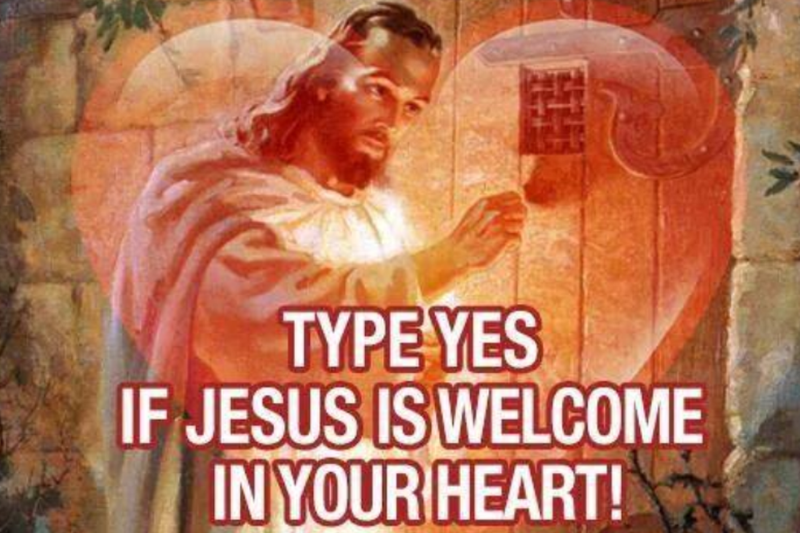 These memes are no way near what scripture describes regarding Christ and the “good news”. They ought to be accursed. People are going to hell. There is a future judgement coming… not a sheepish knock at the door. You want a proper image of Christ? Such is the image that we need to pray for, that our brothers and sisters around the world have on their minds, as they face the horrific trials we are hearing about. Such is the image that we need to pray for, that those we are evangelizing have on their minds, as they are given the Gospel and called to repent. Good stuff John… Thanks for your clear voice of reason in a world of confusion. Disagree because the Bible itself is repackaged. Language translation, genre and broadly the fact that we put it in writing are all attempts towards repackaging for palatability. Perhaps the real problem is neither repackaging or palatability, but when such efforts lead to compromise? I suggest that you do some research. The “phone tag” type of critique doesn’t hold up. I’m not referring to phone tag. Rather to good repackaging. It reaches people that the raw Gospel cannot or does not. A repackaged Gospel is not the Gospel.